I recently met a teacher from Seattle who decided to use my Romeo & Juliet for Kids play to enter a drama competition for kids in Portland, Oregon. (It wasn’t limited to just being a Shakespeare competition, but, what a fun idea that would be!) I was able to spend a few minutes with her to see what the experience was like and to give advice to teachers trying to reach children with Shakespeare. Shakespeare4kid: Tell me a little something about who you are and what you do. Sandra: I am a 45-year old Swiss/South African and have worked in the cruise industry for my entire career prior to “retiring” to stay home with my little boy. I have been on stage since the age of 6 and was very actively involved with stage production (acting) right through till university. I had great drama teachers and dreamed of pursuing a career onstage via the London Stage School. My mother had other ideas and wanted me to learn something I could use first and so I earned a BA Hons degree in languages and literature in South Africa followed by an intense hotel school training in Switzerland. When I retired from the cruise industry, I started volunteering at school and church and ended up being busier than when I was working full time. Shakespeare4kid: How long have you been teaching drama? school drama club which was much enjoyed by all my students. I have been teaching for 3 years now. Shakespeare4kid: Tell us a little bit about the competition you were recently in? Sandra: The drama competition is part of L.E.S.T. – Lutheran Elementary School Tournament –which takes place in Portland each February, on the Concordia campus. All Lutheran schools in the western part of the US compete. The competition includes academics, sports, music, art, science, drama, cheer/drill/dance etc. It’s a huge 3-day event and a very exciting one! It’s great seeing our kids competing and doing the best of their very best! Shakespeare4kid: We were very honored to hear that you chose to use our Romeo & Juliet for Kids script for your drama competition, but what made you decide to take on Shakespeare with a younger audience to work with? Sandra: I mentioned earlier that I started an after-school drama club for the middle school kids starting 4th grade thru 8th. I really wanted to offer something that wasn’t just about putting on a play and performing for an audience – the LEST competition would take care of that – but something that they could take with them as they go through school life. I found your plays online and thought the timing of the plays was perfect and it gave me a flexible cast to work with as I had no idea how many students would end up signing up. My classes ended up being structured as follows: 30 mins – Creative Mime – learning about the rudiments of good acting. 30 mins – Shakespeare Discussion while the kids ate their afternoon snack. I got some good picture books from the library and divided up the bard’s life into segments for each week’s class: Shakespeare’s life; the times he lived in; his theatre – the Globe; his plays etc etc. I made sure that I picked out interesting, horrifying and fun facts and made it into a discussion – rather than a lecture. 60 mins – How to put on a play. Again, I divided up the A to Z of stage production into segments that we worked through each week: auditions; read-throughs; blocking; rehearsal; lighting/sound/costumes; performance. I took some aspects to highlight good stage acting techniques, such as sword-fighting onstage, falling onstage, fighting onstage, dying onstage etc. (they LOVED this!!!) The play we used to put all this together was your Midsummer Night’s Dream for Kids – very funny when you consider the love story tangle and the age group! 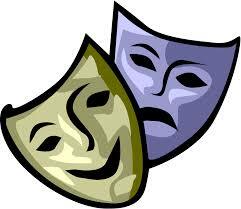 The kids had a wonderful time at after-school drama club and I have been asked by the principle to offer more. Shakespeare4kid: Now that the kids have performed R&J, what do they think about Shakespeare? Sandra: They became very familiar with the language, the themes, the over-the-top performances that were required. They had a lot of fun and I am sure that when the time comes for them to read Shakespeare at school – they will be head and shoulders above the other kids! Shakespeare4kid: How did you see kids respond to this type of Shakespeare? Sandra: They enjoyed it since it contained all the aspects that kids enjoy to do onstage – fighting, dying dramatically, being silly, being regal – just taking things over the top which this age group loves to do anyway! Shakespeare4kid: Was it intimidating at all to approach Shakespeare with kids through this format? Sandra: Not at all – you made the language clear and yet were able to incorporate some of the most famous lines he wrote. The kids were very interested as to why things were put the way they were at that time – for example: “Do you bite your thumb at me, sir?” – wow – that was the line that really fascinated them and the provenance thereof. I heard it around the school for several weeks afterwards! Another example: all the kids had heard Juliet’s balcony lament – but now they learned that “Romeo, Romeo, wherefore art thou Romeo?” doesn’t mean “Romeo where are you?”, it means “why are you called Romeo Montague – the enemy”! Boy – were they surprised but the lights went on!! It made them more attuned to other such lines. The intimidation factor for this age group is the romance between the two – but we made it into something very funny – for instance – the kissing was replaced with high 5’s – even the very last one: “thus with a kiss I die” and the “dead” Juliet puts up her hand and high 5’s him. We performed for Kindergartners thru 5th grade after the competition and parents were telling me the next day that the kids came home VERY excited about the fabulous and funny play they had seen and were repeating lines they had heard! Shakespeare4kid: If you had to do this drama competition over again, what would you do differently? Sandra: Absolutely nothing – we loved it! I even had great costumes and for clarity’s sake had all the Montagues in Blue and the Capulets in Red. Shakespeare4kid: If you were going to give educators advice on incorporating elementary drama with Shakespeare – what would be the one piece of advice you would give? Sandra: Keep it simple, keep it fun and slowly but surely incorporate Shakespeare’s life and times into the lesson spicing things up with fascinating details and lots of sword fighting and dramatic dying! Shakespeare4kid: What’s your favorite Shakespeare play? Shakespeare4kid: Who is your favorite Shakespeare Character(s)? Shakespeare4kid: If you could spend an evening with the Bard, what would you two do? Sandra: I would ask him all about his life and times – fascinating stuff since there are very few facts about him. Shakespeare4kid: Oh yeah, and my favorite, what’s on your iPod? Sandra: Genesis, Creed, Josh Groban, Evita, Meatloaf, Nickelback, Journey, Eric Clapton, etc a real mish-mash! Sandra: Yes, thank you SO much for doing what you are doing! You are taking the intimidation out of Shakespeare and letting the kids look forward to reading him at school, rather than dread him and be bored to tears! Thank you!